@Nezu... Yup, got the Pose skeleton. Originally, I was slightly disappointed about the scale. It was smaller than I expected. But once I looked at its body proportions, being more like a child than an adult, I realized it was perfect to be the kid of one of the Skeleton Warriors! 3.5 inches in 1:15 scale comes to 48 inches... just the right size for a kid. So if Dad is 6 feet, then Kid is 4 feet. Yep, I can make it work. 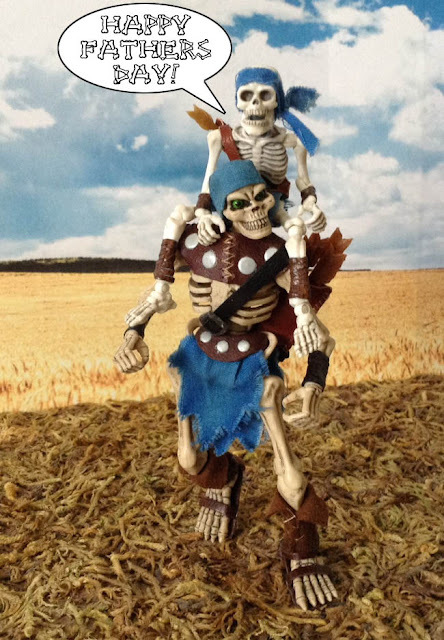 Just because they're skeletons doesn't mean they make bad parents! Oct Toys Jade green Titan skeleton is sold out! Some neat freebies included too. PUMPKIN SPICE ORANGE SKELLYS! HERE! The Pumpkin Spice Titan Skeleton will be available at 12 pm (noon) PST on Thursday October 13th at the October Toys Online Store! Heh. I know pumpkin spice is all the rage these past couple of years, but I never thought to see a skeleton in that flavorway! Psyched to get a few of these! Orange skeletons. What not to love! That orange just pops! Ordered my pair of Pumpkin Spice. Thanks to all who ordered. First batch shipped Thursday, the second batch will go out Friday. You guys continue to rock! We found a couple Jade and full paint wash versions in a convention box, so we put those up in the store if anyone missed those. 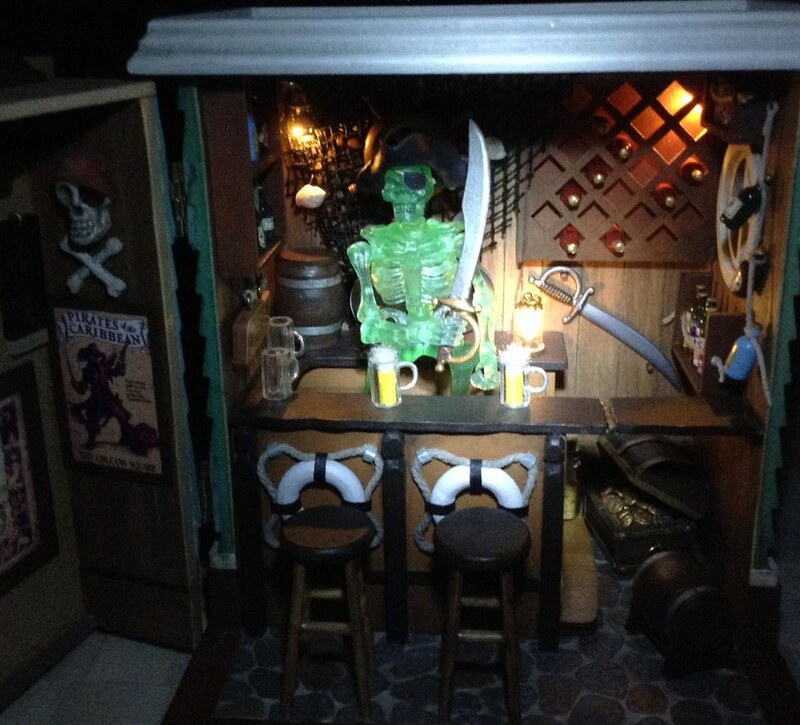 Be sure to post how you will be displaying these for Halloween! I love seeing them getting played with out there! Awesome set up! Love the accessories, they fit perfect! Silver Titans went on sale today. Ordered. Dare we expect Candy Cane Titans next month? 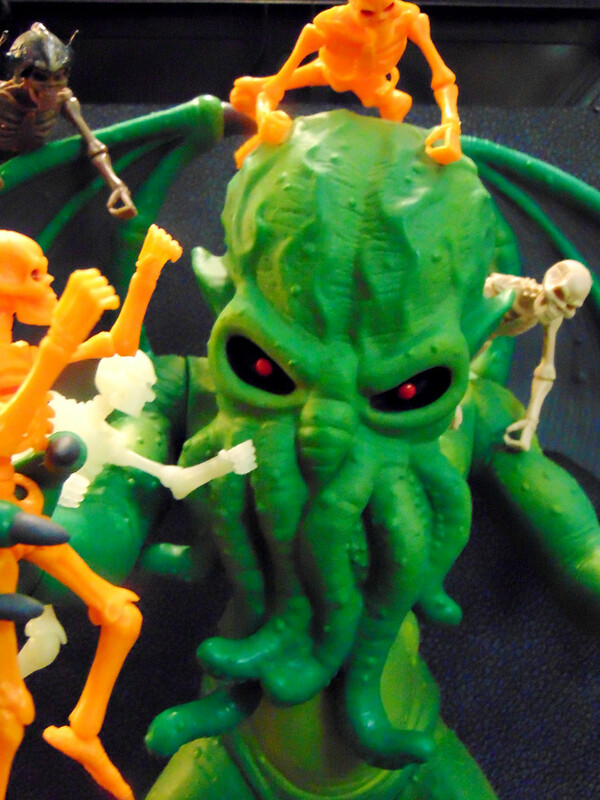 First of all, dude, that Cthulu scene is awesome! I want to see more. GeorgeGaspar wrote: I love seeing them getting played with out there! Second of all, just got my Titan-800's in the mail last night, Had some fun with a custom gun build. 80's Skynet has officially arrived! 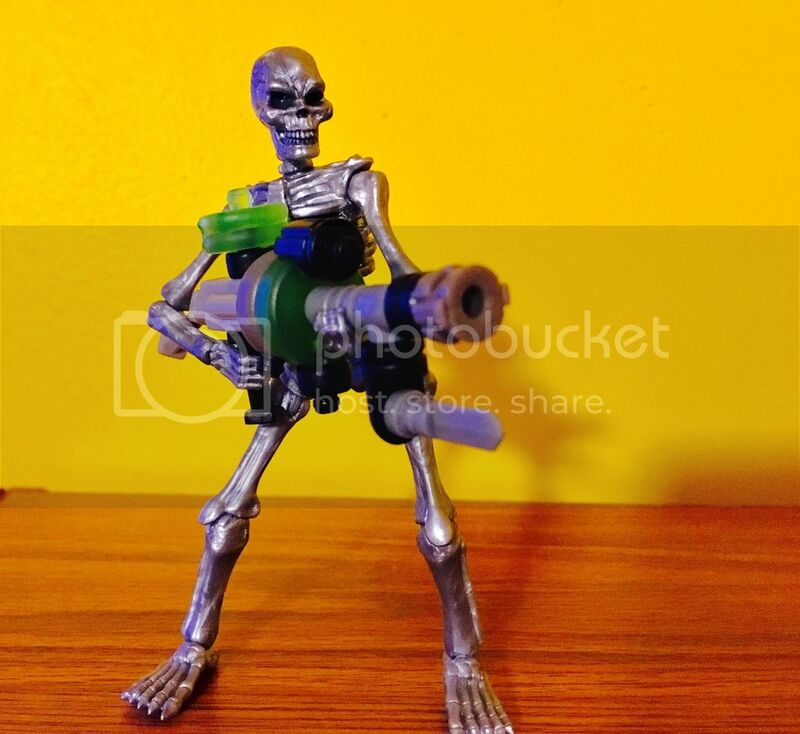 George, I love these new Titan's, the silver is such a good idea and the first time I've been inclined to put a gun in a Skeleton Warriors hands. Can't wait to set up a platoon of these menacing machines! Also that silver Brocotal is wicked! You gonna have a run of these in the store soon? 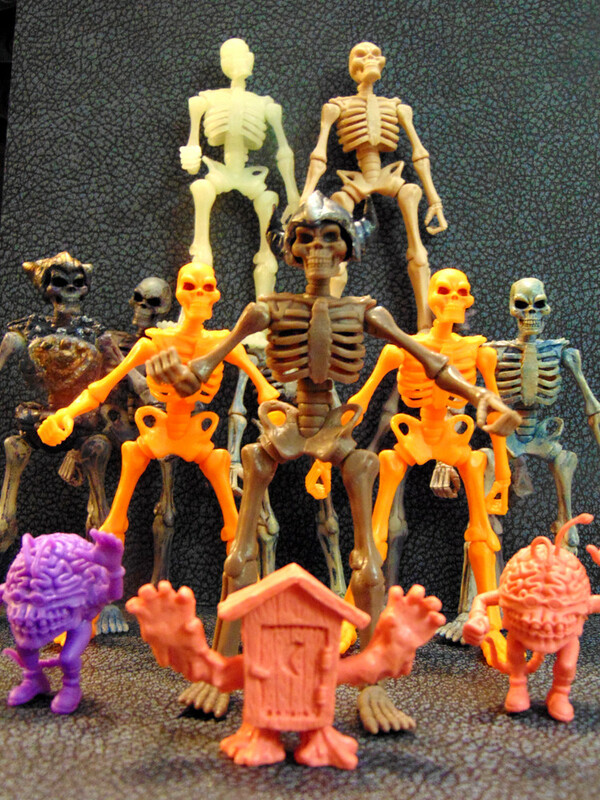 Does anybody have any info about where we can buy Skeleton Warriors from? Looks like the October Toys forum is gona and their home site is pretty much an archive now. Guess I shouldn't have waited to get the gunmetal Titan. Looks like George and Ayleen split so this is all probably a casualty at this point. 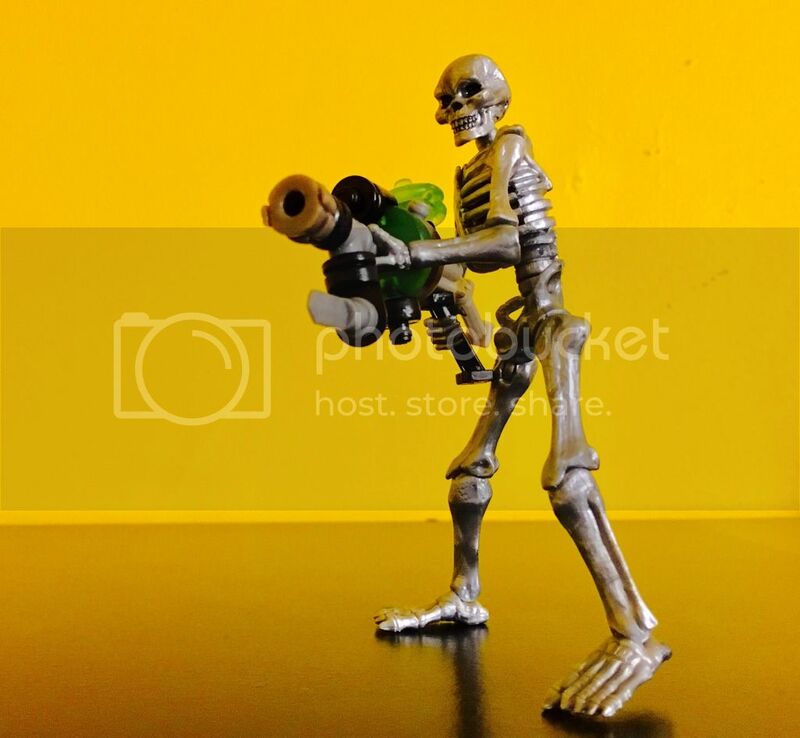 I saw a Instagram post from George Gaspar recently where he told someone who asked about the silver skeletons to message him and he would sell them to them, but I don't know what else is available or if it was a one shot favor. Hopefully George will open a store for the Double G toys he started and sell them there. 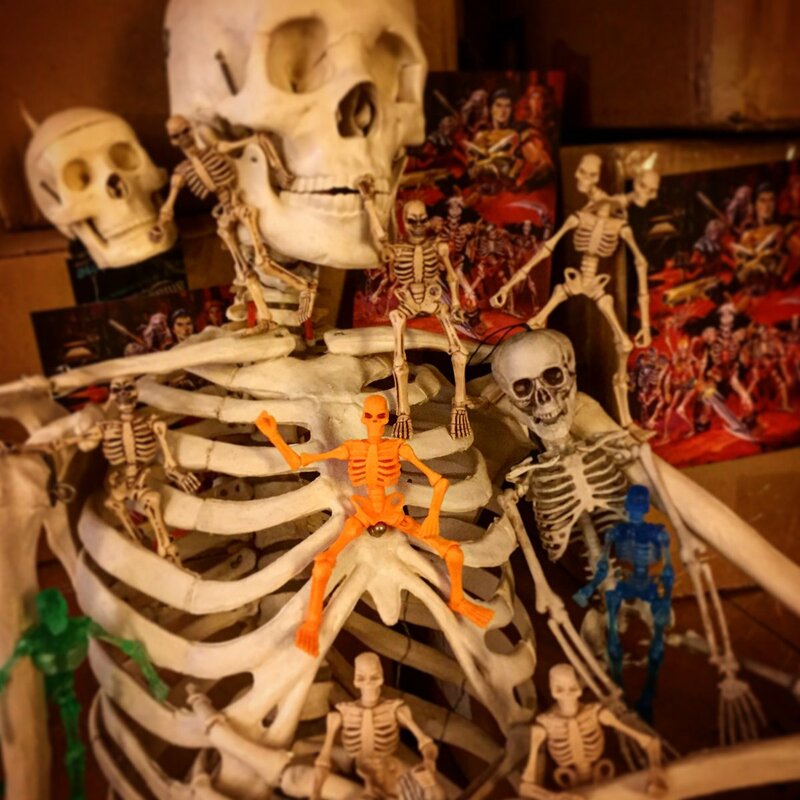 vmb wrote: I saw a Instagram post from George Gaspar recently where he told someone who asked about the silver skeletons to message him and he would sell them to them, but I don't know what else is available or if it was a one shot favor. Hopefully George will open a store for the Double G toys he started and sell them there. George told me the same thing. You can still buy them, you just gotta do it through contacting him on Instagram.